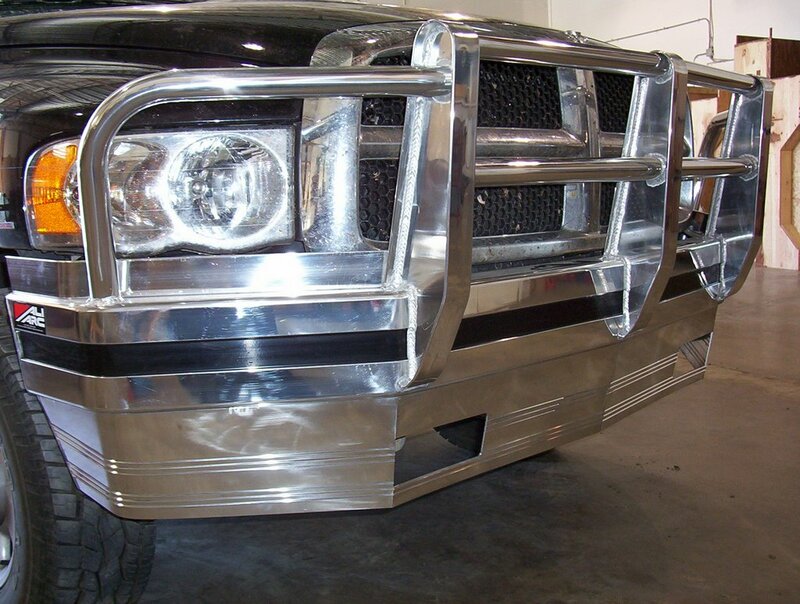 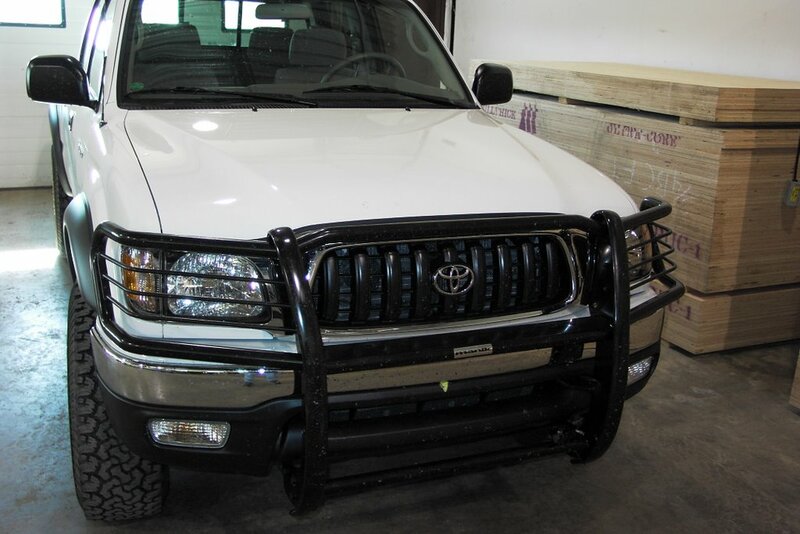 This grill guard/bumper combo is made out of aluminum. The uprights are made pit of a 3” tubing with an oval bar above the bumper to mount driving lights. 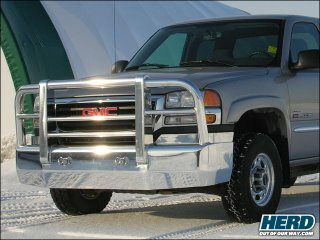 It is available for most recent model HD pick-ups. 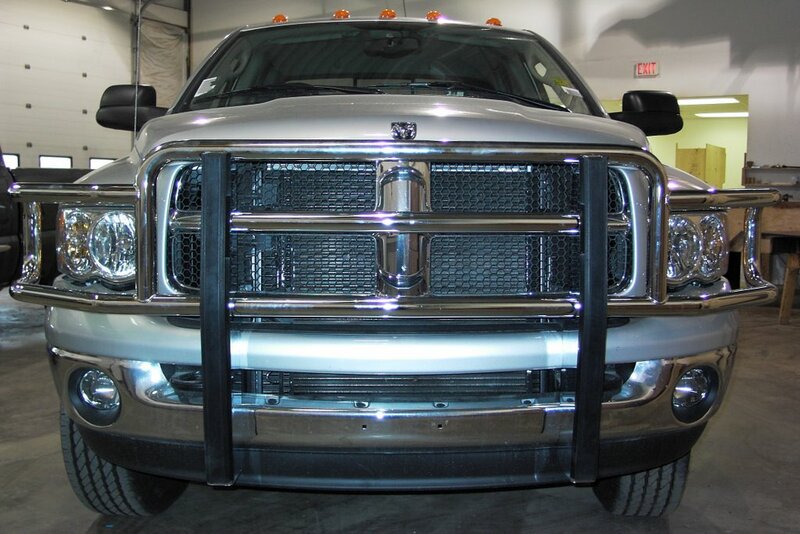 This grill guard/combo gives the same protection as the Aero LT with a different design. 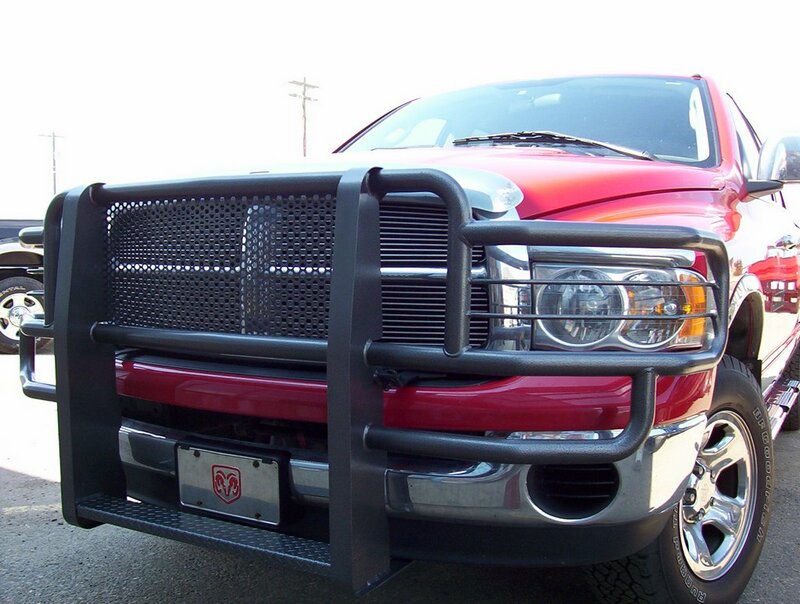 This is a aluminum bumper replacemnt with a 3” upper tube to help protect your grill. 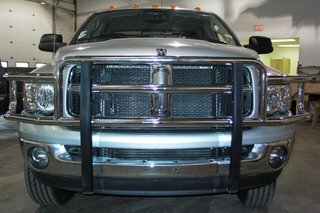 This is a stainless steel grill guard with 2” tubing and centre punched insert to protect your grill. 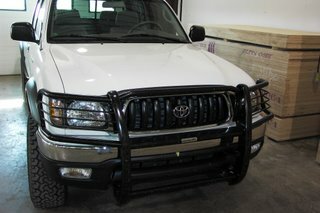 It is also available in a powder coat black.